The holidays are always magical. Children laughing as they play with their new toys, singing carols on the way to pick up the family Christmas tree, and delicious dishes being passed around the table filled with smiling family members. It’s a beautiful time of year! Though we do also recognize some of the stresses that we know pop up around these holidays, as well. And we’re here to do our best to help you relax instead of feeling like you have to rush around everywhere with these simple tricks to help you get through the holidays. Keep reading to find out our favorite last minute gift, plus delicious dishes that we highly recommend, no matter where your guests might be visiting from around the globe. 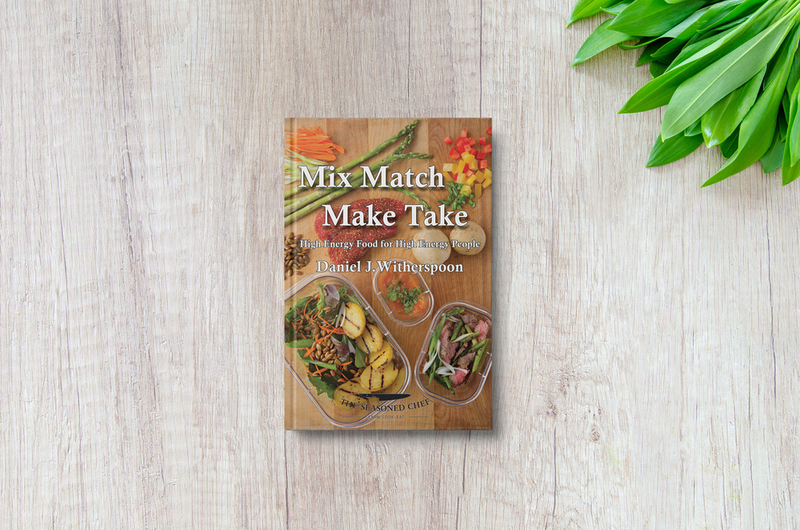 While we’re big fans of experiential gifts, such as taking a cooking lesson together, we know that matching schedules and getting a favorite lesson on the calendar might be tough when it comes to planning. Especially with Christmas being a short time away! Which is why our favorite last minute gift has become… a gift card from The Seasoned Chef. Not only will the cooking class that you’re gifting your loved one be an experience to remember, but they’ll learn something new that they’ll be able to use for years. They can use their new gift card on participating in a class with you, or schedule it around whenever works on their calendar. It’s flexible, shows that you care, and, even easier for you, gift certificates can be purchased on online at any time, which saves you from a trip to the store! Purchase your gift certificates to The Seasoned Chef by clicking here. This year, we’re loving the idea of cooking favorite dishes from around the globe! Having a culturally diverse holiday celebration is the perfect way to surprise and delight your guests, while also pleasing their palate. Some of our favorite holiday specialties from around the globe are as follows. One of the simpliest recipes on this list, these are also incredibly easy to make and can be incredibly adaptable based on what you have readily available in your pantry. Place the flour, butter, and salt into a large bowl and mix with your hands until t resembles and rough sand. Stir in the egg using a cold knife, adding cold water by the spoonful until the mixture binds, but is not sticky. Wrap the dough and chill for 15-30 minutes. Roll 2/3 of your dough into a pastry that is 1/8” thick. Fill a cupcakes tin with your dough to form small cups. Mix all of your mincemeat ingredients together to create a sweetened mincemeat. Fill each pastry lined tin 2/3 full of your mixture. With the remaining 1/3 dough, cut circles to fit as a “lid” for each pie. Dampen the edges of each tart with a little cold water and press the lids on. Make a small hole in the surface of each pie with a knife to allow steam to escape. Bake in an oven at 400 degrees Fahrenheit for 20 minutes, or until the dough is golden brown. Remove from oven and allow to cool. Said to be a symbol of patriotic and national spirit for Mexico, chiles en nogada is a an experience for the tastebuds. Plus, with the red and green colors built in, this dish decorates your table all by itself! Roast the poblano peppers under the broiler or on the grill until blackened, about 5 minutes per side. Place poblanos in a bowl and cover tightly with plastic wrap. Let steam 20 minutes. While the poblanos are steaming, in a large skillet on medium, heat the oil and then add the ground pork or turkey. Cook until lightly browned, about 5 minutes. Add the onions and cook until they are translucent, about 2-3 minutes. Stir in the garlic, cinnamon, oregano, thyme, and allspice. Add the tomato, apple, raisins, dried apricots, and pecans. Salt to taste. Cook 15 minutes, stirring occasionally. Taste and adjust seasonings as necessary. To make the sauce, place the walnuts in a blender along with the sour cream, cream cheese, and milk; puree until a smooth, slightly thick sauce forms. Add the cinnamon and salt to taste. If you prefer a thinner sauce, add more milk. Dating back to around 1400, is a bread that is sliced and sold to the public, with proceeds typically supporting local charities. While there is one basic recipe for Stollen, each baker has their own special recipe that is passed down by generation, whereas the licensing process to sell it commercially is carefully regulated to protect integrity. Our version is a little bit more Americanized, with the loaf being sprinkles with a delicious icing. We love to use this dish as a delicious first course, or as a healthy holiday lunch. You choose the size of the scallops, as well as how rich and cheesy you’d like to make the dish. Perfectly adaptable to any crowd! Melt butter in a large skillet over medium heat, then sauté shallots in the hot butter 5-8 minutes, or until translucent. Stir in the sliced mushrooms. Salt and pepper to taste. Turn the heat to medium-high and cook, stirring often, for 10 minutes, or until the mushrooms are golden brown. Pour white wine over the mushroom mixture, dissolving any browned bits of food on bottom of skillet into the wine and bring to a simmer. Gently place scallops into wine and poach in the mushroom mixture until barely firm. Likely about 2 minutes per side. Transfer scallops to a bowl. Strain the mushroom mixture into another bowl to allow you to cooking the mushrooms and liquid separately. Return the strained liquid to the skillet and stir in the whipping cream. Bring to a boil and cook until the cream sauce is reduced by about half, stirring often. Turn off the heat and let mixture cool for about 1 minute. Quickly whisk your egg yolk into the cream sauce until they are entirely combined. Transfer skillet to an unheated work surface and stir in your cayenne pepper, minced tarragon, and lemon zest into sauce. Divide your mushroom mixture into ramekins, spreading mushrooms out to cover the bottoms, then place about an even number of scallops onto each portion. Spoon your cooled cream sauce over the scallops to coat, letting the sauce drizzle down into the mushrooms. Sprinkle lightly with Gruyere cheese, paprika, and cayenne. Turn your oven’s broiler to high. Place filled ramekins onto a baking sheet and broil about 10 inches from the heat source 5-6 minutes or until the sauce is bubbling and cheese is lightly browned. Transfer to your serving plate and garnish each portion with tarragon leaves. A cornucopia of delicious seafood, this dish was created to commemorate the wait for the midnight birth of Jesus. Plus, we think it’s absolutely delicious! As this is a combination of eight different meals (when you add in the pre-meal salad), we’ve included links to each individual meal. All equally delicious and perfect to mix and match once your family has picked out their favorites.